Stuart Bingham moved a step closer to winning his first tournament in 17 months by thrashing Chris Wakelin 5-0 in the Coral English Open quarter-finals. Bingham will now face China’s Liang Wenbo, a 5-2 winner over Anthony Hamilton, in the semis at Event City in Manchester tomorrow evening (tickets for the last two days are still available, click here for details). Basildon’s Bingham hasn’t lifted a trophy since capturing the World Championship crown in May last year, but is now just two wins away from this week’s £70,000 top prize. He was rarely troubled in a comfortable win over Chris Wakelin, who had knocked out Ronnie O’Sullivan and Xiao Guodong yesterday, but couldn’t find the same form this time. 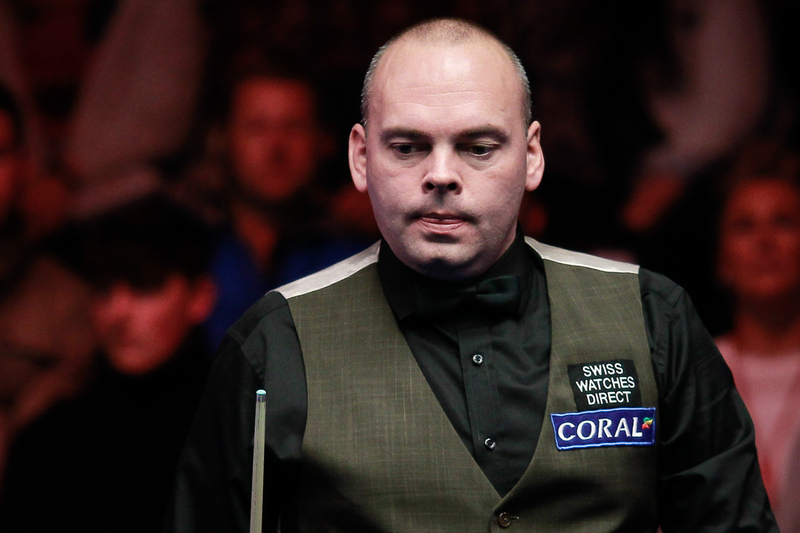 Breaks of 54 and 61 put Bingham 2-0 ahead, as he looked to assert an early dominance. Wakelin had chances in most of the frames but couldn’t find his rhythm and missed a series of pots. Bingham claimed two scrappy frames to take a 4-0 lead into the interval, and when they returned he wrapped up the win with a run of 116. World number 20 Liang reached the fourth ranking semi-final of his career with a hard-fought win over veteran Hamilton. 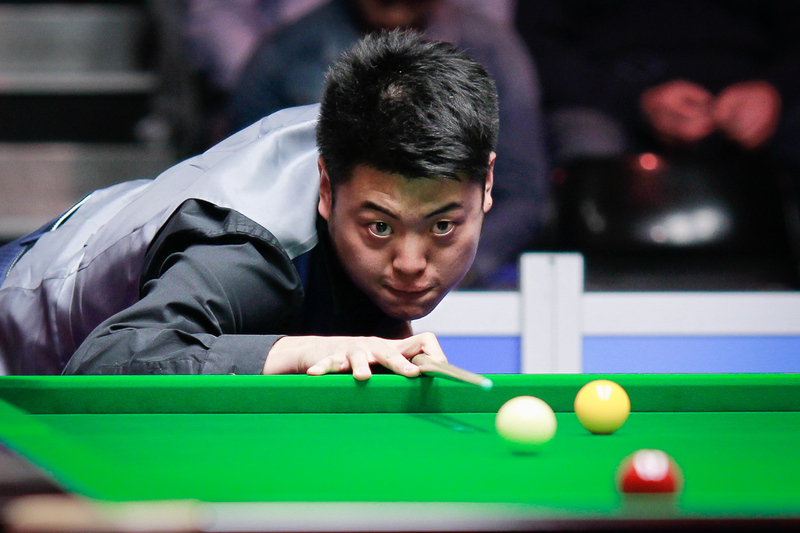 Nottingham’s Hamilton made a 97 in the second frame but it was Liang who went into the interval 3-1 up. Hamilton pulled one back and had chances in the next, but a safety error on the penultimate red when he led 42-36 proved vital as Liang cleared to lead 4-2. And last season’s UK Championship runner-up Liang sealed victory in the next, helped by a break of 58.